The European Society of Gastrointestinal and Abdominal Radiology (ESGAR) Annual 2018 Meeting, celebrated from June 12 – 15 in Dublin, Ireland, hosted the handover of the ESGAR European Radiology Awards. 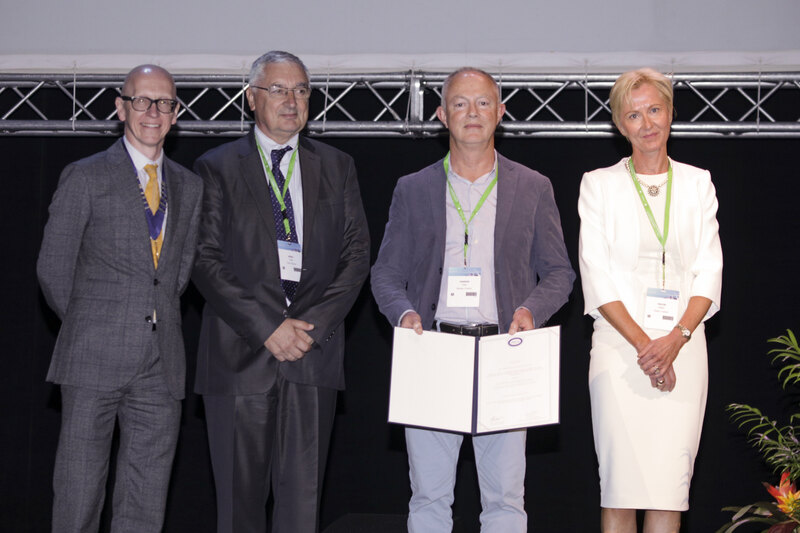 The Editor-in-Chief of European Radiology, Prof, Yves Menu, handed over three Silver Awards to teams whose papers ended all on second place. The first Silver Award went to a team from the National Cancer Center in Goyang, South Korea, for their paper titled Magnetic Resonance Imaging-Detected Extramural Venous Invasion in Rectal Cancer before and after Preoperative Chemoradiotherapy: Diagnostic Performance and Prognostic Significance. The second award was won by a group (see picture 1) from Rennes University Hospital,France, for their paper with the title Non-invasive measurement of liver iron concentration using 3-Tesla magnetic resonance imaging: validation against biopsy. 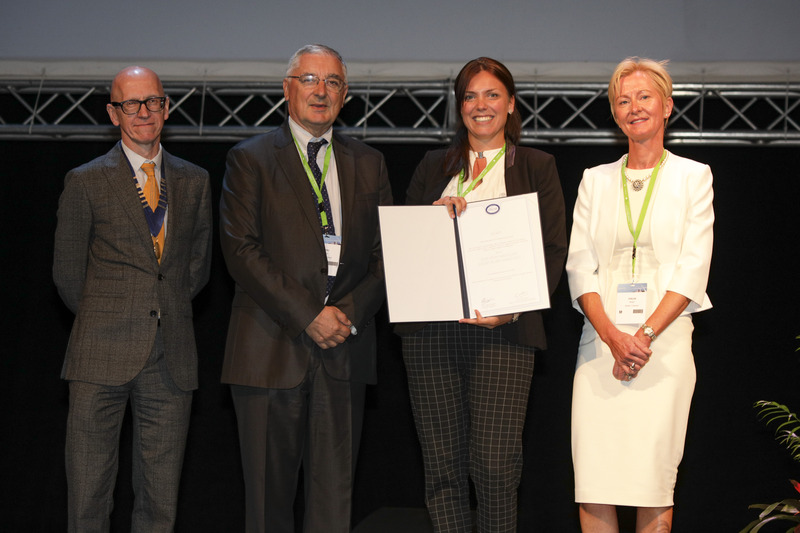 And finally, also a combined team (see picture 2) from Maastricht University Medical Center and The Netherlands Cancer Institute, won a Silver Award for their paper titled MRI surveillance for the detection of local recurrence in rectal cancer after transanal endoscopic microsurgery. In addition to Prof. Menu, Prof. Steve Halligan (President of ESGAR), Prof. Regina Beets-Tan (President-Elect), Prof. Andrea Laghi (Vice-President), Prof. Helen Fenlon (President of the Annual Meeting), and Prof. Marc Zins (Programme Committee Chairman), were part of the jury choosing these best papers out of a total of 29.